Home → Uncategorized → How To Earn Up To 3x The Cash Back On Your Credit Card! Whether you spend a lot or a little, cash back credit cards offer amazing value. When you spend money on your card, you earn cash back. With most cash back rewards cards, you can earn anywhere from 0.5% to 5% on your purchases. The rewards rate is the amount of cash back rewards you earn per dollar spent! If your family spends a reasonable $25,000 annually on credit, you would net $125 in cash after fees with the worst cards. The top-ranked card on this list would earn you $407 every year – big difference, right? If you’re looking for a cash back credit card, then getting top dollar is probably pretty important. Flexibility, fees, income requirements, perks, and insurance may mean very little to you. Make sure that you find a card that makes the most of your everyday purchases. Look at the cashback percentage offered on the different types of purchases (i.e. groceries vs. gas, etc.) and pick the card that will help you earn the most cash back based on your spending habits and/or budget. Another thing to consider is the cost of an annual fee, it may be obvious but ensure that you will earn enough cash back to at least offset the cost of the annual fee. It’s also important to consider the other benefits being provided by the card, some may suit your lifestyle better than others. It is not as simple as looking for the highest cashback rate. Does most of your spending happen at certain stores or on a small set of regular purchases? Many cards give you bonus cash back in spending categories like gas, groceries, drugstore, bills, restaurants, and travel. If you spend most of your money on these things, then it makes a lot of sense to choose a card with a matching spending bonus. 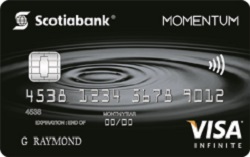 The most popular high spending bonus card is the Scotia Momentum Visa Infinite. It gives you 4% cash back on gas and grocery purchases and 2% cash back on recurring monthly bills – a rare perk. With cash back credit cards, it’s easy to tell if paying an annual fee is worth it. Take your annual rewards earned and subtract the annual fee to give you your net annual rewards. If your net annual rewards are higher with a fee-based card than a no-fee card, then the choice should be simple. It’s important to remember that annual fees aren’t necessarily a bad thing! Most high ranking cards require a minimum $35,000 in personal income to qualify, while the World and World Elite cards ask for $60-$80,000. That makes the SimplyCash Preferred from American Express a great choice with its $0 minimum income requirement. With its new higher 2% cash back rate and amazing sign-up bonus it’s an even easier decision. One thing to remember about minimum incomes is that you can often still be approved even if the minimum is higher than what you are currently earning. As long as you have good credit and a good payment history, they will often assess your application on a case by case basis. The BMO CashBack World Elite Mastercard is the clear choice when it comes to insurance. It offers 14 different types of insurance and is better than all the other cards in 3 of those categories. Add on complimentary roadside assistance and concierge service and you’ve got an amazing cash back card. If you spend a lot of money on groceries and gas each month, this credit card is right for you. The Scotia Momentum VISA Infinite card is made to reward you for your everyday purchases. You get a full 4% cash back on gas station and grocery store purchases. You also get 2% cash back on your recurring payments and on drugstore purchases. All other purchases earn 1% cash back. You are limited to earning the higher cashback rate for gas and groceries to $25,000 in annual spend. There is a 21-day grace period before interest starts accruing. The Scotia Momentum VISA Infinite Card comes with a 19.99% interest rate on purchases and 22.99% interest rate on cash advances and balance transfers. Right now, you can also get an introductory 1.99% APR on balance transfers for the first six months and have your annual fee waived for the first year. You also get additional perks, like travel insurance with this credit card. This credit card comes with purchase protection and extended warranty protection as well. It’s also possible to get 20% off on your Avis car rentals. There is a minimum income requirement for this card: $60,000 a year for an individual and $100,000 for a household. This card comes with a $99 annual fee, but if you are smart about your spending, it shouldn’t be an issue. With the BMO CashBack World Elite Mastercard, you get one of the highest flat cashback rates – 1.75% – of any cash back credit card. There are no caps, categories, tiers or limits with this card. Everything you spend earns you cash back; you can use the money for anything! There is a $120 annual fee, but with some smart spending you could easily make up for that fee over time. If you spend $3,500 on your card each month, you will end up with $735 in cash back. Subtract the annual fee, and that’s still a “profit” of $615. This card also comes with perks generally reserved for travel cards, including out of province and country travel medical insurance, free roadside assistance, and car rental and trip insurance. If you’re a frequent traveler These perks can be really helpful. You’ll also have access to extended warranty protection and purchase protection. The regular APR is 19.99% for purchases and 22.99% for cash advances. This means you want to be sure to pay off the balance each month to avoid paying interest charges. Right now, there is a 4% cash back on every purchase in the first four months, capped at $250. Finally, there is a minimum income required for this credit card. You need $70,000 as an individual or $120,000 annual household income. 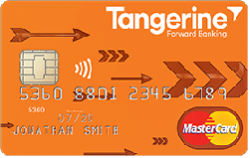 The Tangerine Money-Back credit card allows you to choose two of your higher 2% cash back categories. You can also choose a third category if you connect your card to your Tangerine savings account, agreeing to have your cash back deposited there. All other categories receive 0.5% cash back. This credit card has no limits on how much cash back you earn, and you don’t have to worry about rotating categories or tiers. It’s very simple and uncomplicated. If you connect your Tangerine savings account, you get even more bonuses and ease of redemption. Review your spending choices and choose categories where you spend the most for the best results with this credit card. You can also enjoy the fact that there is no annual fee with this credit card. 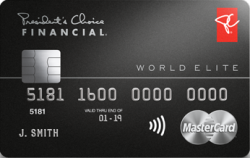 With the President’s Choice Financial World Elite Mastercard you can earn PC Optimum points for every dollar spent. Your points are then redeemable at participating stores where President’s Choice products are sold. Every other purchase offers you 10 PC Optimum points per dollar spent. You can start redeeming points at 20,000, for $20 worth of groceries. Other great benefits included with this credit card include travel emergency medical insurance, rental car insurance, and identity theft assistance. You can also get access to a 24/7 concierge service to help make dinner reservations, get event tickets, and more. The purchase rate for this credit card is 19.97% for purchases and 22.97% for cash back. You can take advantage of a 0.97% balance transfer rate for the first six months if you’re a new President’s Choice credit card customer. There is also a grace period of 21 days on this credit card and no annual fee. You do need to meet income requirements of a personal income of $80,000 a year, or annual household income of $150,000. If you are looking to earn a flat, no-hassle rate on everything that you buy, the SimplyCash Preferred Card from American Express is a great choice. 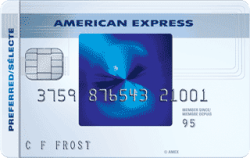 The SimplyCash Preferred Card from American Express is like the big brother to the no-fee SimplyCash card in that it has higher cash back and more perks, but comes with an annual fee of $99 to account for them. You’ll get 2% cash back on ALL purchases, which is a really good rate, and the annual fee is less than many of its main competitors. The sign-up bonus that is effectively worth $300 is also nothing to sneeze at because none of the other cash back cards come close to this. Essentially, this card allows you to get a premium level card with great rewards and good insurance coverage and perks without being a high roller. Being able to maximize the sign-up bonus cash back easily also makes it worth getting for most people to try for a year. Once you’ve maximized your bonus, you can always downgrade to the no-fee edition. 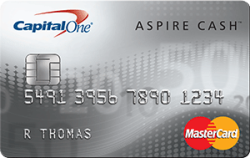 If you have average credit but still want to earn cash rewards with no annual fee, you could benefit from the Capital One Aspire Cash Platinum Mastercard. This credit card features 1% cash back on all purchases. There’s no need to keep track of rotating categories or sign up for cash back. These rewards are made easy, and there is no limit to the amount of cash back you can earn. This card is meant for those with average credit. You can find credit cards with greater cash back rewards, but they will be more difficult to qualify for. As long as you use this card for most of your purchases, you can get a good return on cash back, because there are no caps on earnings. The Capital One Aspire Cash Platinum Mastercard has no annual fee and comes with price protection, purchase assurance, extended warranty, and car rental insurance. These perks increase the value of the card, as does the fraud protection. You can also add an authorized user free of charge. 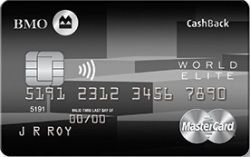 The card has a standard 19.80% APR, and it applies to balance transfers and cash advances as well as purchases. This is a little different for cash back cards, many of whom charge higher rates for cash advances. 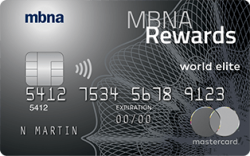 Although this card rewards cardholders with points and not the typical cash percentage ‒ the MBNA Rewards World Elite Mastercard is still widely accepted as the best cash back credit card in Canada. This card will give you a straight 2% cash back on all purchases. And while there are cards on the market that will give you up to 4% in some spending categories, none of them will give you 2% back on ALL your purchases, with no limits and no tiers. Plus with this card, you can get paid whenever and however you want – it doesn’t get much simpler than that. In short, you’ll be able to earn high cash back, have decent insurance package and get incredible flexibility – a combination that not many other cards can offer. The downside? As a World Elite Mastercard, there is a pretty high minimum income requirement attached. However, if you are able to meet the 80K personal or 150K household income, it’s a no-brainer. Don't subscribe All Replies to my comments Notify me of followup comments via e-mail. 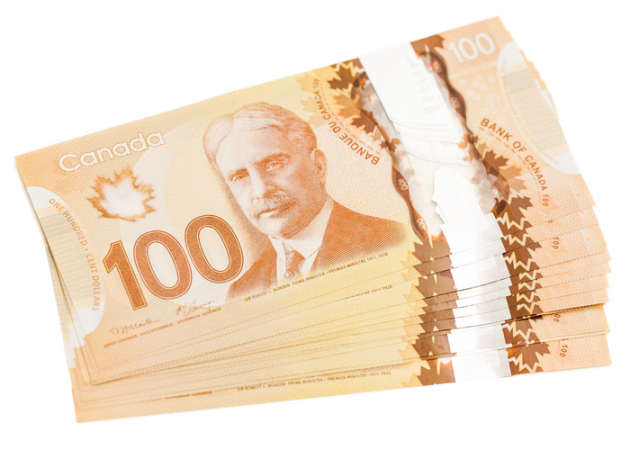 You can also <a href='https://www.creditwalk.ca/comment-subscriptions/?srp=5184&srk=2648578ecea05c83754707575dc5a494&sra=s&srsrc=f'>subscribe</a> without commenting.